Science loves satellite data. As it turns out, so does business. Since the launch of the first Landsat in 1972, researchers have used satellite data to enable an amazing range of study. Areas from agriculture to cartography, geology, forestry, regional planning, natural resource prospecting and management, disaster recovery, and climate monitoring all owe a debt to perspectives from space. Only with a view from orbital distances can we fully appreciate global-scale weather patterns and changes in land and sea—forces and phenomena that govern our lives. And conversely, there is nothing like a satellite view to illustrate the dramatic impact modern human civilization has had on the planet. Only satellites can show us views like these. Left: Hurricane Bonnie in 1998. Right: Erosion and deforestation in Borneo. During his mission commanding the International Space Station, astronaut Chris Hadfield somehow found time to take a stunning collection of these views (some of which appear in his new book). Images from such a vantage point are unquestionably beautiful, but they are also so valuable to both science and commerce that NASA has approved an earth observation platform called MUSES (Multi-User System for Earth Sensing) for the ISS to allow a variety of remote sensing instruments to gather data from the ISS’s unique and profound perspective. Astronaut snapshots aside, what makes ISS a good platform for earth observation? There are actually a number of drawbacks. 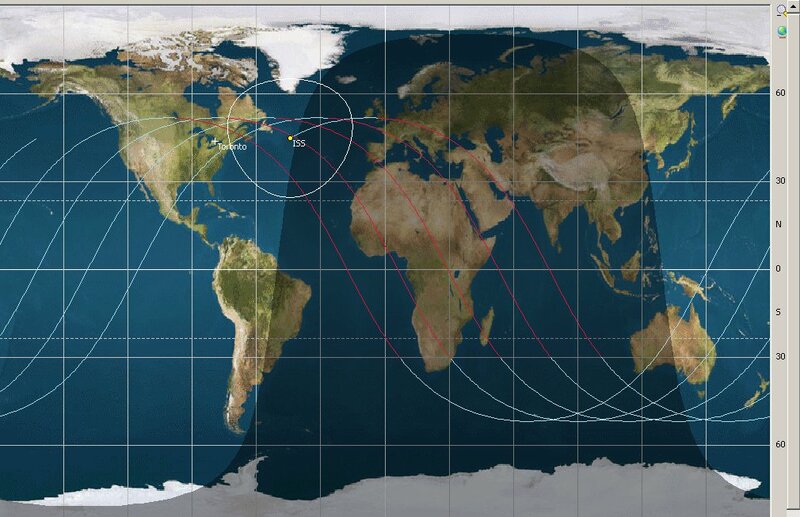 Compared to dedicated observation satellites like the Landsats or the recent WorldView-3, the ISS has a lot going on. It is full of vibration-inducing activity and motion, it has a long list of other equipment and other operational priorities that restrict its orientation and positioning, and its orbit doesn’t cover the entire planet. It is nowhere near as cheap or accessible to build and deploy as miniature satellites such as CubeSats. Getting your hardware onto the ISS requires an intimidating and competitive administrative process of application, approval, and review that for many will inspire dismay if not actual despair. But balancing its drawbacks, the ISS has a unique orbit with a 92 minute period–a rapid “refresh” that few other systems can match. While it doesn’t cover the poles, the ISS’s view does cover the vast majority of the planet’s populated regions, and its multiple angles of view allow 3D imaging techniques. The ISS also has a high performance (and upgradeable) data network and prodigious downlink capability for observation data. Additionally, it receives new launches every three months, offering a chance to update, upgrade, or repair expensive equipment. And unique to current satellites, the ISS houses astronauts and robots that can perform maintenance, something impractical or even impossible with dedicated satellites. 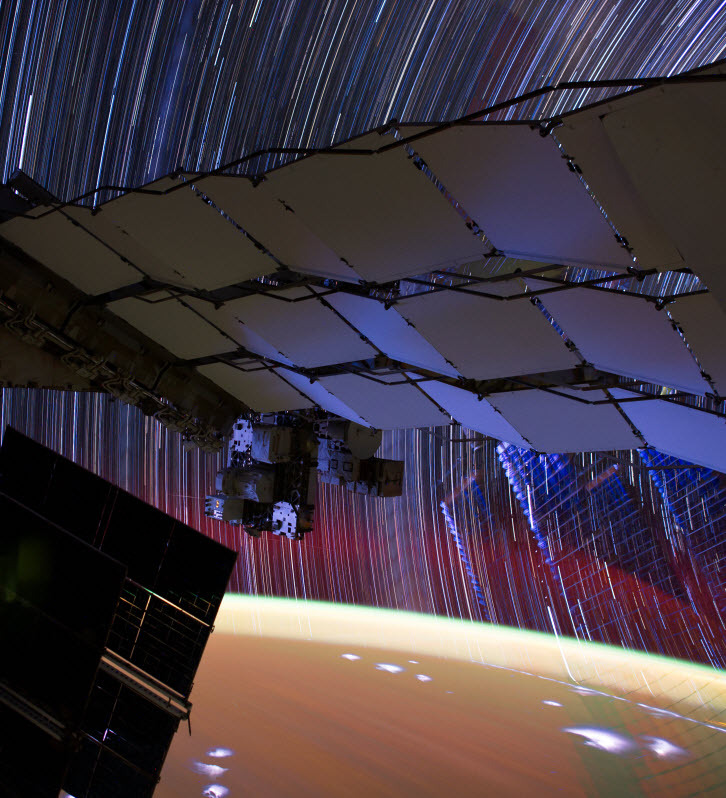 From this perspective, leveraging the ISS infrastructure for an imaging platform creates amazing possibilities. In scientific pursuits, big-picture phenomena such as deforestation, erosion and pollution runoff, icepack and glacier extents are all much easier to see from space. 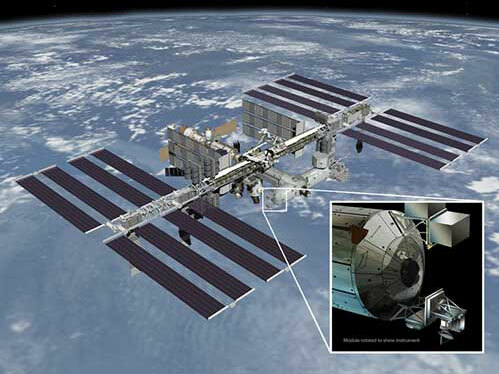 The ISS already has instruments such as ISS-RapidScat to measure ocean surface wind speed and direction (including hurricane tracking) as well as a lidar instrument called CATS (no, not that kind) for monitoring atmospheric aerosols and clouds critical to climate change research. Looking down from above can even allow you to look back in time. Archeologists leverage Earth observation imagery, particularly multispectral data, to find long abandoned roads, buildings, civil engineering works and entire cities lost to the creep of jungles or sand dunes over centuries and millennia. Scientists have rediscovered Mayan ruins in Guatemala by noting the differences in vegetation growth over ancient settlements. Lidar has revealed vast ancient structures in Belize and Mexico. Visible and infrared satellite imaging continue to reveal “new” pyramids in the deserts of Egypt. Earth observation serves humanitarian purposes too. After natural disasters such as hurricanes, wildfires, earthquakes, volcanic eruptions, or tsunamis, high resolution satellite views can be crucial for rapidly assessing damage and guiding aid efforts. Scientific successes have led business to take an increasing interest in the commercial value of satellite data. Stock traders already use satellite photography of Walmart parking lots to judge how busy stores are to try to anticipate corporate earnings releases. Multispectral imaging capability brings entirely new ways to turn perception into profit. By looking at detailed satellite imagery in ultraviolet and infrared bands, scientists and farmers can assess the health of crops down almost to the individual plant or pinpoint the application of fertilizers or pesticides/herbicides instead of indiscriminate blanket use. They can also judge maturity and essentially know both harvest timing and yields in advance; for commodity traders that information becomes profit in the futures markets. Even beyond standing crops, the value of agricultural land is determined in large part by its fertility, and soil types are good predictors. But most soil maps are problematic—in the United States, the vast majority of soil survey maps were built decades ago by surveyors on foot, sampling tiny fractions of large areas. Given the limitations of testing equipment at the time and variation in subjective assessments, their accuracy today is dubious–especially since landscapes change over time (erosion, irrigation, pollution, construction, vegetation…). Multispectral analysis can reveal soil types from space; accurate, up-to-date soil type information could make a dramatic difference to the market value of farm (and industrial) land. The value of this information reaches into the billions of dollars. Case in point: by analyzing high-altitude multispectral surveys of vast areas, prospectors in Australia discovered a billion dollar gold deposit. This deposit would never have been found by traditional ground-based approaches—the indicators were too subtle and spread over too large an area. 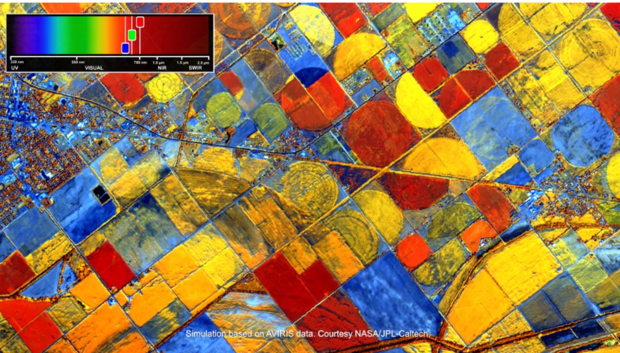 Despite the value, earth observation isn’t easy. Nothing that involves “in space” is ever easy. To get a reasonable field of view, instruments on the ISS are best mounted on the outside of the structure, exposing them to all the rigors of space—including temperature swings, vacuum, micrometeorites and radiation, to say nothing of the shock and vibration strains of launching from earth. Then there’s the fact that the ISS is travelling approximately 7.5 kilometers per second. Dr. Mark Whorton, a 20-year NASA veteran, Principal Investigator for the MUSES program and now Chief Technology Officer at Teledyne Brown Engineering, describes it this way: “Suppose you want to take a picture of a house in St Louis, while you’re driving a car through Chicago at 17000 miles per hour…that’s essentially what it takes to take a picture of the Earth from the ISS.” Watch an interview with Dr. Whorton in this article’s companion piece. MUSES was developed specifically to solve the challenge of accurately pointing observation instruments down at the ground from an altitude of 350 km on a fragile, spidery spacecraft orbiting at upwards of Mach 24. If you ask them nicely, physics and engineering students (and occasionally CTOs) will explain to you how position and motion are only meaningful relative to a frame of reference. On a moving space station orbiting a moving planet (rotating, revolving, precessing, and more), what frame of reference can you use to know where anything is with any certainty? MUSES uses the stars. Yes, technically they are moving too, but at the time and distance scales involved, they’re effectively fixed, and combined with the exquisite calculation and construction engineering that comprise MUSES, their reference allow precise pointing. Artistic impression of where MUSES will attach to the ISS. MUSES itself is not a sensing instrument; it is a platform for pointing a range of instruments that could include spectrometers, multi and hyperspectral imagers, high resolution panchromatic imagers, lidar, radar, magnetic sensors and more. The platform can host four instruments simultaneously and offers the ability to change, upgrade, and robotically service each individually. One of the first instruments will be DESIS, a visual/near-infrared imaging spectrometer built by the German Aerospace Center DLR (Deutsches Zentrum für Luft- und Raumfahrt) to gather information on atmospheric physics and Earth sciences. Ironically, the instrument will itself become an object of study—DLR scientists will investigate the influence of the space environment on remote sensing instruments once DESIS is returned to Earth at the end of its mission. The fact that it can be returned to Earth after its mission emphasizes once again some of the ISS’s unique advantages. 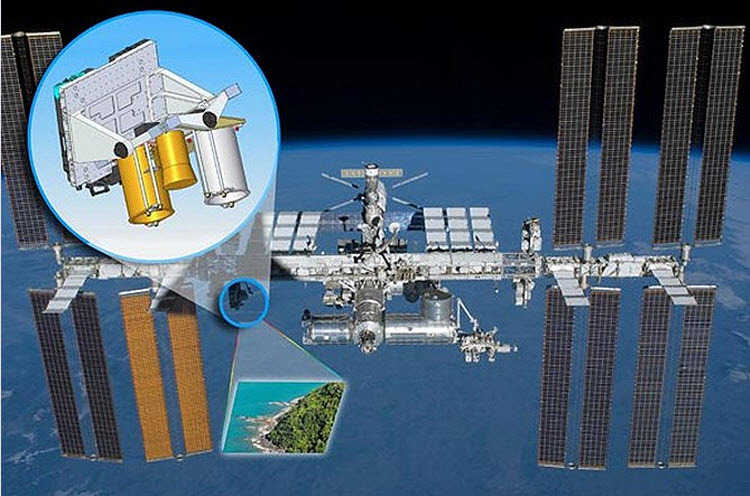 MUSES will be the first commercial Earth-sensing platform on the ISS—commercial in the sense that it will be designed, built, operated and managed by a commercial entity (Teledyne Brown Engineering), and research institutions and private sector companies outside NASA will have the opportunity to mount their instruments on the platform, specify where they would like to look and own rights to the data gathered. Launch is scheduled for 2015. With MUSES and other innovative earth observation technology, the future of “looking down” is certainly looking up.